This mommy and me class is an introduction to dance with dancing games and props and even fun little songs to sing. 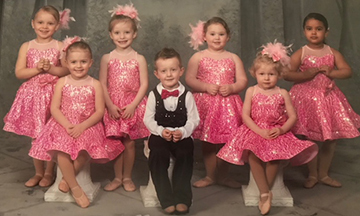 These little dancers will need to purchase a Powell uniform tutu to wear to class each week. This is a very fun and sweet class with Mommy.